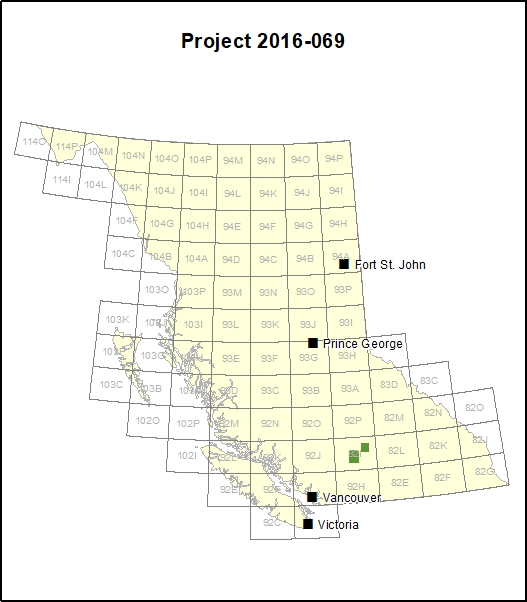 Using DNA barcoding, this project is testing the species diversity and composition of insects at mine sites across British Columbia. Together with soil and vegetation surveys, the species inventory and food web structures from this project will be used to more accurately measure biodiversity at undisturbed and reclaimed mine sites. Mine operators are required to restore disturbed land to a defined condition upon mine closure, a process known as reclamation. To establish guidelines and protocols for successful ecosystem reclamation following mine closure, research is needed to establish reliable tools to monitor and measure ecosystem reclamation. This project considers the entire ecosystem, targeting soil development and microbial function, plant traits and function, vegetation productivity and diversity, food webs and habitat structure. Deliver a model to predict ecosystem reclamation success based on cultural needs and existing and future soils and climate. This project will develop innovative methods and tools to guide mine site reclamation planning, implementation and management. This will lead to increased effectiveness, lower costs and social acceptance of mine activities. Numerous mine site around BC such as New Afton Mine, Highland Valley Copper Mine, Mt Polley Mine and others. The researchers will use tent-like structures called ‘malaise traps’ to capture flying insects and pitfall traps to capture small ground insects in an ethanol solution to preserve the specimens for DNA analysis. At a genomics lab, the collected insects will be identified by comparing their unique DNA barcode to existing records on the Barcode of Life Database (BOLD: www.boldsystems.org). Soil and vegetation samples will also be collected to better understand the whole ecosystem.